After eighteen years as a political prisoner in the Bastille, the ageing Doctor Manette is finally released and reunited with his daughter in England. There the lives of two very different men, Charles Darnay, an exiled French aristocrat, and Sydney Carton, a disreputable but brilliant English lawyer, become enmeshed through their love for Lucie Manette. From the tranquil lanes of London, they are drawn against their will to the vengeful, bloodstained streets of Paris at the height of the Reign of Terror, and they soon fall under the lethal shadow of La Guillotine. Charles Dickens was born in Portsmouth on 7 February 1812, the second of eight children. Dickens's childhood experiences were similar to those depicted in David Copperfield. His father, who was a government clerk, was imprisoned for debt and Dickens was briefly sent to work in a blacking warehouse at the age of twelve. He received little formal education, but taught himself shorthand and became a reporter of parliamentary debates for the Morning Chronicle. He began to publish sketches in various periodicals, which were subsequently republished as Sketches by Boz. The Pickwick Papers was published in 1836-7, after a slow start it became a publishing phenomenon and Dickens's characters the centre of a popular cult. Part of the secret of his success was the method of cheap serial publication he adopted; thereafter, all Dickens's novels were first published in serial form. He began Oliver Twist in 1837, followed by Nicholas Nickleby (1838) and The Old Curiosity Shop (1840-41). After finishing Barnaby Rudge (1841) Dickens set off for America; he went full of enthusiasm for the young republic but, in spite of a triumphant reception, he returned disillusioned. His experiences are recorded in American Notes (1842). A Christmas Carol, the first of the hugely popular Christmas Books, appeared in 1843, while Martin Chuzzlewit, which included a fictionalized account of his American travels, was first published over the period 1843-4. During 1844-6 Dickens travelled abroad and he began Dombey and Son while in Switzerland. This and David Copperfield (1849-50) were more serious in theme and more carefully planned than his early novels. 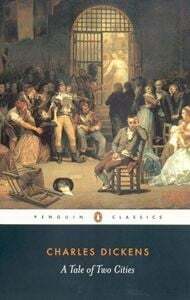 In later works, such as Bleak House (1853) and Little Dorrit (1857), Dickens's social criticism became more radical and his comedy more savage. In 1850 Dickens started the weekly periodical Household Words, succeeded in 1859 by All the Year Round. Dickens's health was failing during the 1860s and the physical strain of the public readings which he began in 1858 hastened his decline, although Our Mutual Friend (1865) retained some of his best comedy. His last novel, The Mystery of Edwin Drood, was never completed and he died on 9 June 1870. Public grief at his death was considerable and he was buried in the Poets' Corner of Westminster Abbey.